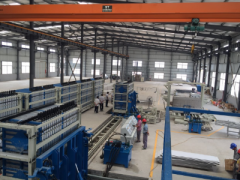 On behalf of the domestic leading level of wallboard molding equipment, mechanical composite lightweight insulation wall panel automatic production line from Sanlian Machine departure from Xiamen port to Malaysia, container shipment coincided with the" typhoon NEPARTAK ", but we keep our promise and didnt delay the delivery schedule. 11 high cabinet goods arrived in Xiamen port on time. 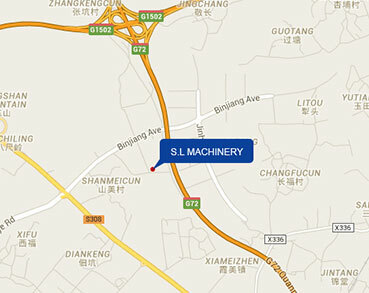 Customers are a large building in Malaysia, mainly engaged in building materials manufacturing sales. 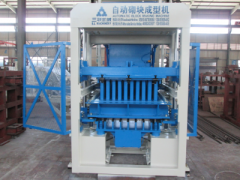 With the continuous promotion of new wall materials especially the lightweight composite wall insulation, this kind of products in the world, especially in Southeast Asia and some other countries are more concerned with the great welcome. At the first beginning this customer wants to start directly on an annual output of 500 thousand flat wallboard production line, taking into account the customer investment budget, we recommend that the guests first started from the 300 thousand flat to be put into operation, steady operation can be increased after forming machine to further improve the yield, after cautious considering the customer agree with our suggestion. (according to the actual situation of customers, reasonable planning investment program is one of the SANLIAN business ecological culture). 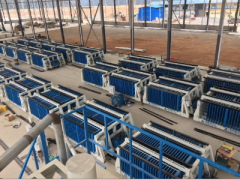 Ensure the production capacity and production quality, customers are attaching great importance to the purchase of equipment, early investigation and fully understand the South Korean panel company, and through the comparison of several domestic professional high levels of company wallboard are compared, finally chose Quanzhou Sanlian, this is our automatic wall equipment acceptance and trust. 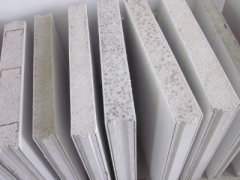 As people continue to attach importance to environmental protection, new environmentally friendly building materials is bound to replace the traditional building materials, and composite lightweight energy-saving wallboard will be the new environmentally friendly building materials that the most shining star.